The Fault in Our Stars is about Hazel, a girl with cancer. 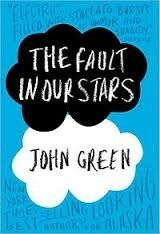 Hazel attends a cancer support group and ends up meeting Augustus Waters, who was once a cancer patient as well. Augustus end up falling in love with her but Hazel is still reluctant. Because of a book they like called An Imperial Affliction, together they travel to Amdsterdam to get answers about this puzzling book. What happens next in this epic love story? Will Hazel eventually fall in love with Augustus? Life isn't a wish-granting factory. 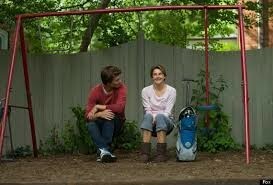 Both Gus and Hazel have had near death experiences with cancer. "I'm in love with you, and I know that love is just a shout into the void, and that oblivion is inevitable, and that we're all doomed and that there will come a day when all our labor has been returned to dust, and I know the sun will swallow the only earth we'll ever have, and I am in love with you." Sold over 10.7 million copies. Translated into 46 different languages. On the New York Times bestseller list for 78 consecutive weeks. "This is a book that breaks your heart- not by wearing it down, but by making it bigger and bigger until it bursts." "Genius.... Simply devastating.... Fearless in the face of powerful, uncomplicated, unironized emotion." Join the millions who have bought this #1 New York Times bestseller! Buy it today!